I start my first prescription of isotretinoin/accutane tomorrow and I'm wondering what the best skincare products are to use? I bought a Cetaphil moisturiser today, as well as a La Roche-Posay cleanser, lipbalm and moisturiser. Do people recommend getting a Cetaphil cleanser too? Possibly a body wash and body lotion? Everything else I have at the moment is scented and will be too harsh on my skin whilst on the meds. Welcome to the world of Accutane. If you suffer from the sunburnt-face symptom, use this. 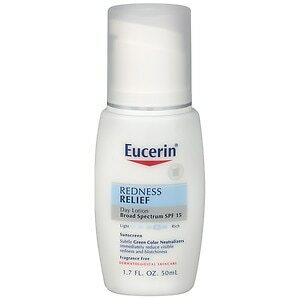 Only moisturizer that hid the redness instead of escalating it. Lots of water! Aim for 8 glasses a day.